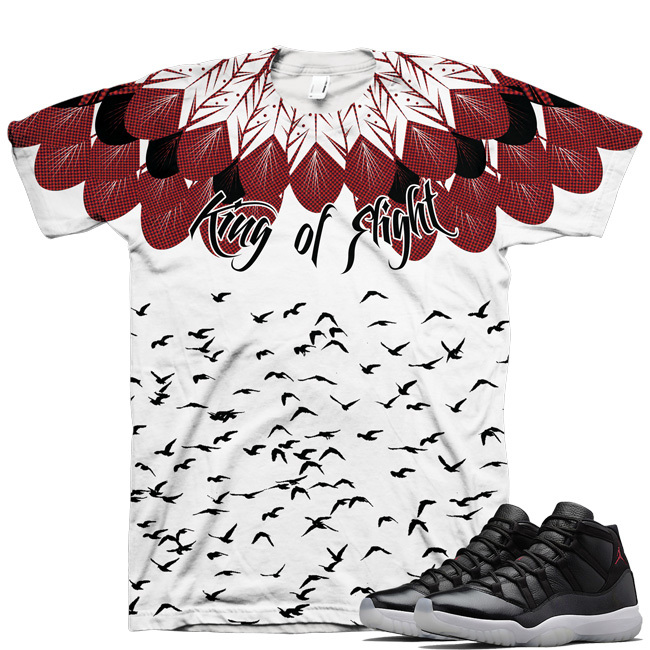 This shirt is designed to match the Jordan 11 72-10. It features a feathered pattern and a flock of birds underneath. This is version 2. Designed by Chef Spar the Tastemaker of GourmetKickz.